by one of the most stable and reliable organisations in the automotive aftermarket sector. The QH (Quinton Hazell) brand is one of the most recognised in the automotive aftermarket; symbolising quality, range and availability. Our latest component offering represents the largest range to date, incorporating many new lines while maintaining OE quality without compromise. Order online for the latest products and prices tailored to you. Gain access to our comprehensive product portfolio and full promotional and marketing support resources. Our launch range alone includes over 24,000 QH products, followed by an increase to 44,000. Having been first launched in the 1940's by its eponymous founder Sir Eric Quinton Hazell, the QH brand and business grew quickly to become the largest aftermarket car parts supplier Worldwide. Combining the values of supplying Original Equipment, quality spares with good customer service, high availability from large locally managed stocks and a prompt delivery service established the model for a successful automotive component supply business that is still valid today. Tetrosyl Group acquired the QH brand in 2013 has included developing new packaging for the entire range of products, a revised brand image and ensures continuation of supply by the preferred manufacturers and suppliers that make-up the brand portfolio. New products are being sourced from within the existing Tetrosyl manufacturing base and from new suppliers, all of whom have been thoroughly audited for outstanding product quality and business systems. 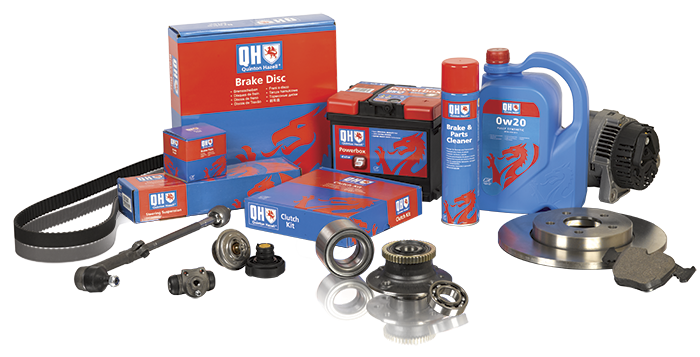 QH products are now designed, manufactured, sourced and delivered by one of the most stable and reliable organisations in the automotive aftermarket sector, so whether you are a new customer or a life-long champion, QH now has even more to offer. 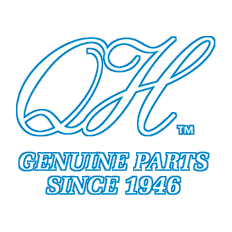 Most of the original high quality QH product sources have been rekindled to ensure the QH name retains its status as a pioneer in the supply of OE quality aftermarket products. Quinton Hazell is one of the most recognised in the automotive aftermarket industry; symbolising quality, range and availability. Quinton Hazell (France ) est une filiale Tetrosyl Groupe et a été créé en 1984 à Lesquin, Nord de la France. CD Group of companies was established in 1963 specialising in the importing, sales and distribution of automotive products. Registered office, Bevis Green Works, Walmersley, Bury, Lancashire, BL9 6RE.